Best known as a portrait painter, Maclise contributed several illustrations for Dickens’s Christmas novels. 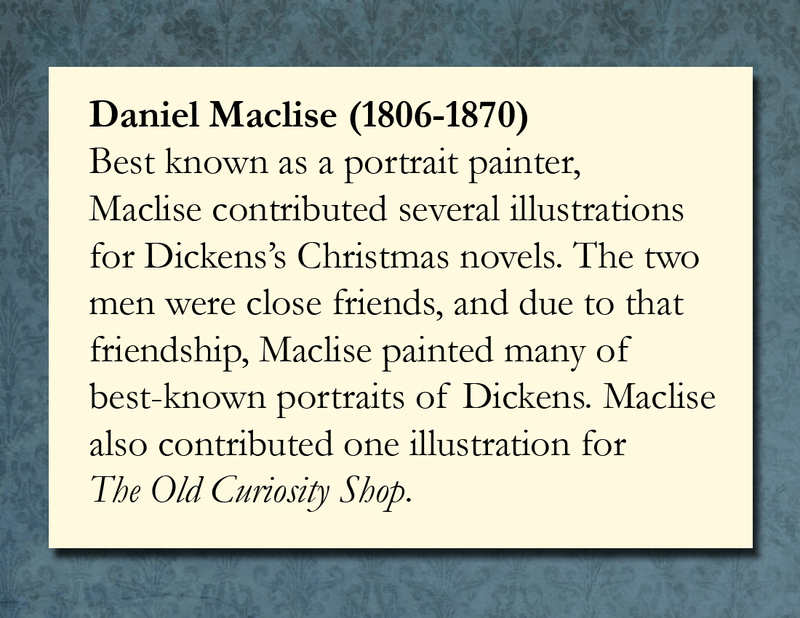 The two men were close friends, and due to that friendship, Maclise painted many of best-known portraits of Dickens. Maclise also contributed one illustration for The Old Curiosity Shop. Cricket on the Hearth. 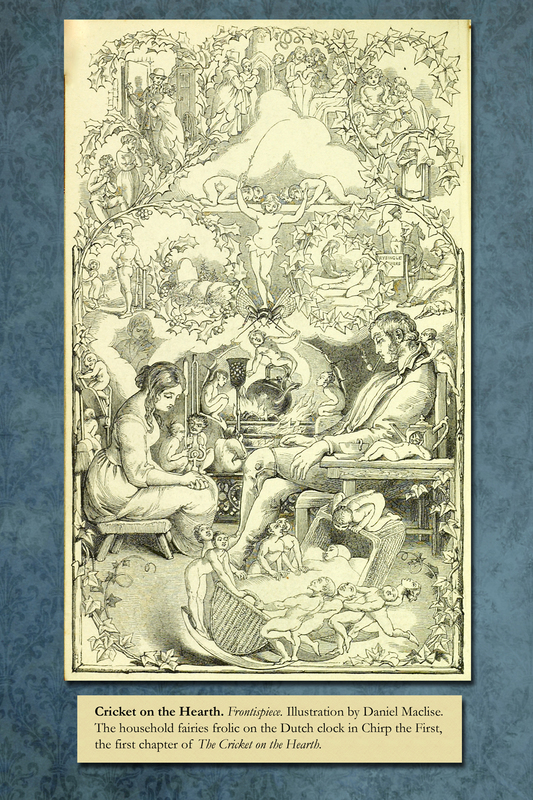 Frontispiece.Illustration by Daniel Maclise. The household fairies frolic on the Dutch clock in Chirp the First, the first chapter of The Cricket on the Hearth. Battle of Life. The Secret Interview. Daniel Maclise. 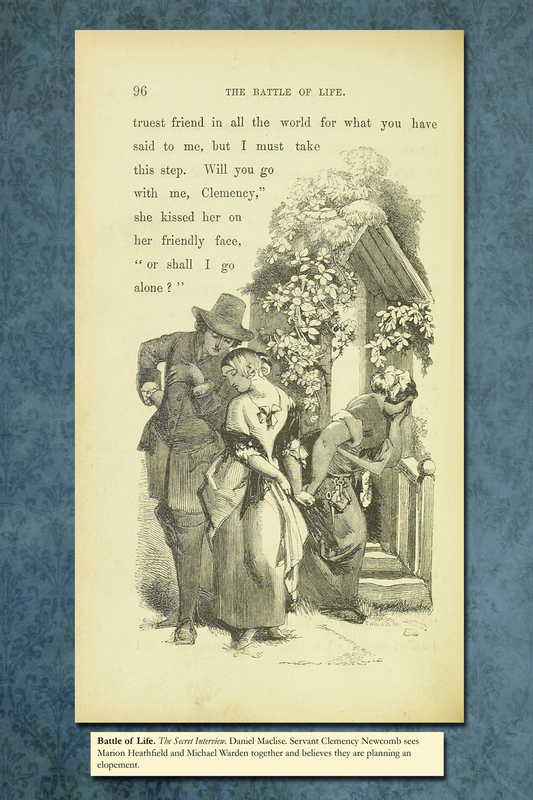 Servant Clemency Newcomb sees Marion Heathfield and Michael Warden together and believes they are planning an elopement.